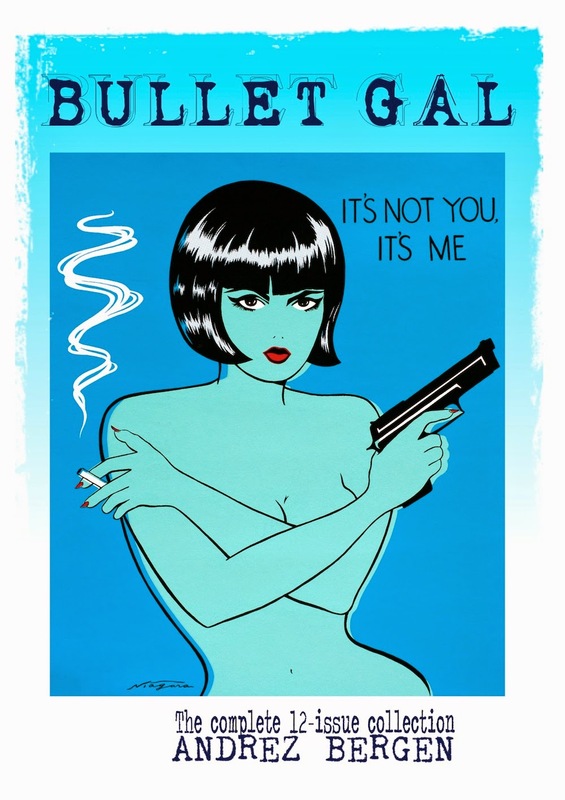 Andrez Bergen is back with a new graphic novel that collects all 12 issues of his Australian comic book, Bullet Gal! Bergen is onto something new here, yet it's something old at the same time. This graphic novel is a prequel of sorts to his 2013 novel, Who Is Killing the Great Capes of Heropa?, but this time it's told more in pictures than in prose. Bergen writes that one of his influences was the Dada movement of a century ago, and he uses photos, drawings, comic art, and more to make pages that are like a collage of images, some that you will recognize and some that may tickle at the edges of your mind and make you wonder if you've seen them somewhere before. But another influence that goes unmentioned is T.S. Eliot's The Waste Land, in that Bergen is taking scraps of popular culture from decades past and juxtaposing them to help tell a story. The story concerns a young woman who becomes a noir-like hero in the city of Heropa. I won't give anything away, partly because I had a bit of trouble following what was going on at some points. Yet Bergen is definitely inventive and the book looks great. Especially nice are the various artistic interpretations of the title character provided by comic artists from all over the globe. 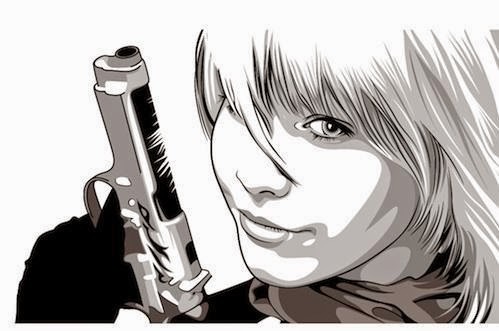 You don't need to have read any other Bergen books to enjoy Bullet Gal, but if you pick it up you many want to find out more about the worlds Bergen has been developing. My favorite book of his so far was One Hundred Years of Vicissitude (2012), followed by Tobacco-Stained Mountain Goat (2011). He also does other comics from his home in Tokyo, though with the flavor of his native land of Australia. Give Bullet Gal a try. It's not like much else you'll see in comics these days! Click here to get a copy of the book, or here to order individual issues of the comic.